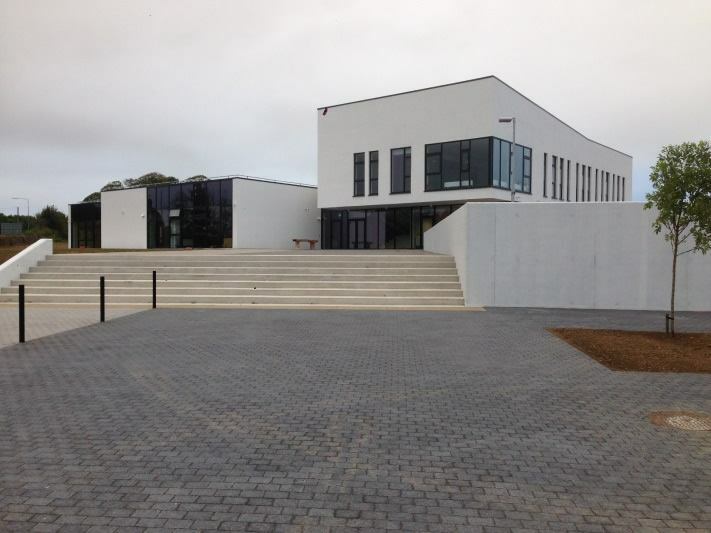 The project was a design and build project for our Joint Venture clients, South Tipperary County Council and Limerick Institute of Technology. The building involved the construction of a new in-situ concrete and structural steel frame building which totaled approximately 1,500m2. The project comprises of new training and enterprise units, offices, classrooms, café area, boardroom as well as a research and development laboratory. The building is finished to a very high standard, with finished concrete and block-work the theme throughout. There are also extensive services installations in heating and cooling the building as well as lighting the building in an energy efficient manner. In fact the project has been designed and constructed to achieve an A3 energy rating. The construction also comprised of significant site works including drainage, electrical & mechanical services, retaining walls, roads and paths and a feature courtyard area located in the centre of the building.